Singapore is filled with countless beautiful buildings and tons of entertainment presented in Asian style. 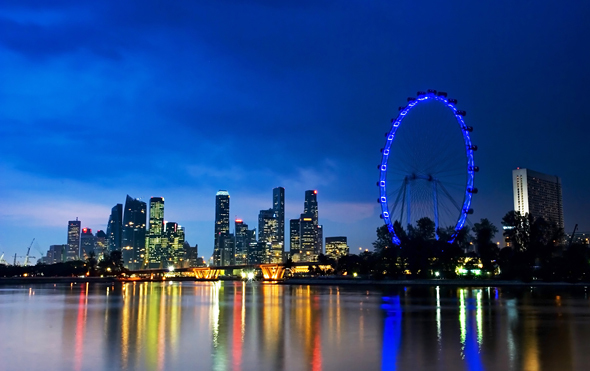 When you want to spend some precious moments in Singapore with your loved one, you’ll find all types of entertainment, good food, and fantastic Singapore hotels to enjoy together. There are more than 22,000 restaurants in Singapore. When you want to start your morning with fine foods, The Halia Restaurant is the best option. This restaurant is situated in a calm Singapore Botanic Garden. During weekends, this place is little bit crowded but on weekday mornings, Halia will be quiet and romantic. Along the National Orchid Garden, you could also get some great food to eat for an affordable price. If you want a cozy yet stunning and romantic place to eat in Singapore, you could go to Jaan in the Swisshotel the Stamford. This restaurant is really stunning because the interior design comes from fine silk in seasonal colors. There are also crystal sculptures and silver chandeliers. The romance is taken up a notch by the full view of Singapore. Another romantic restaurant in Singapore is Sky on 57. As one of the 100 best restaurants in the world, many people go to Sky on 57 to taste the delicious Asian cuisine and see beautiful scenery from a high altitude. The most visited destination in Singapore is Sentosa Island. This island is located in the south of Singapore main island where people often come for a vacation. Sentosa Island has the highest tower in the country, the Tiger Sky Tower, from which you can get beautiful panoramic views of Singapore, Sentosa, and all southern islands. Feel hungry but don’t want to move from this dreamy location? Just go to the Trapizza which is situated in Shangri-La’s Rasa Sentosa Resort. After you finish exploring Sentosa Island, go and see the underwater world of Singapore. There, you can check out various water creatures including the dugong, which lives in the Indo-Pacific area. After all of that eating and sightseeing, it’s time to relax. Go to the Spa Botanica (So SPA takes over Spa Botanica, which has closed its doors on 28 March 2014 ), located in the middle of Singapore’s tropical garden. Here, you can experience different types of body scrubs and showers. 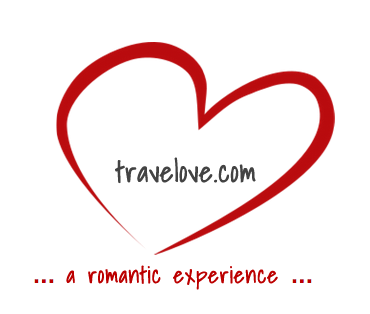 There are lots of romantic hotels in Singapore–both on Sentosa Island and throughout the rest of the city. Some of the absolute most romantic hotels in Singapore, where you can relax and enjoy your surroundings with your partner, include W Sentosa Island, the Mandarin Oriental, and Raffles Hotel. Aside from the destinations mentioned above, there are still so many hidden places in Singapore that you and your couples could visit to spend romantic moment together. Even walking hand in hand together along the Singaporean roads could be so romantic. All spots in Singapore bring you a different touch of Asia, an exquisite combination of traditional and modern way of life.